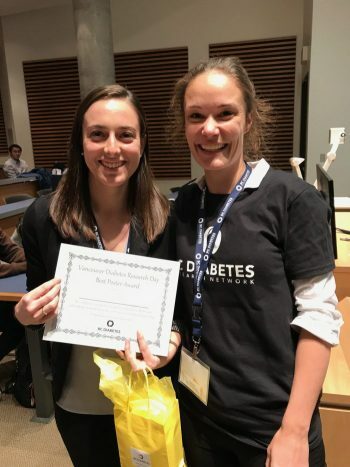 Congratulations Vancouver Diabetes Research Day 2018 Awardees. The Vancouver Diabetes Research Day 2018 planning committee received 50 abstracts from trainees from across British Columbia. Thank you to all 16 oral presenters and 34 poster presenters who contributed to VDRD 2018. Congratulations to the awardees in the oral presentation and poster presentations categories.